Join 0 other players on Ethos Economy today. Ethos Economy is a player marketplace like no other. You will be required to use economic wit and strategy to earn money and rank up to progress through the game. You can pick a profession, start a town, open player shops and earn money for gathering resources! Do you have what it takes to make it one Ethos Economy? On Ethos Economy you can acquire rare sets of Custom Enchanted weapons and tools that we have been designed specifically for Ethos Economy. 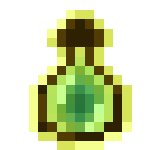 These custom enchanted items will add abilities that will increase your gem production rate and earn you money faster. 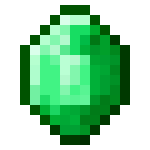 Use Gems to progress through our 18 Ethos Ranks in order to become the most powerful player on the server! Each rank comes with awesome new rewards like crate keys, gem multiplier boosts, and additional towny land claims. Towny allows players to create towns, invite residents, assign roles and sell plots. Once you’ve progressed to the mayor rank and you create your own town, invite your friends and watch your community grow. Choose from one of eight professions like Miner, Farmer, and Mad Scientist to boost your gem multiplier and rank up faster! 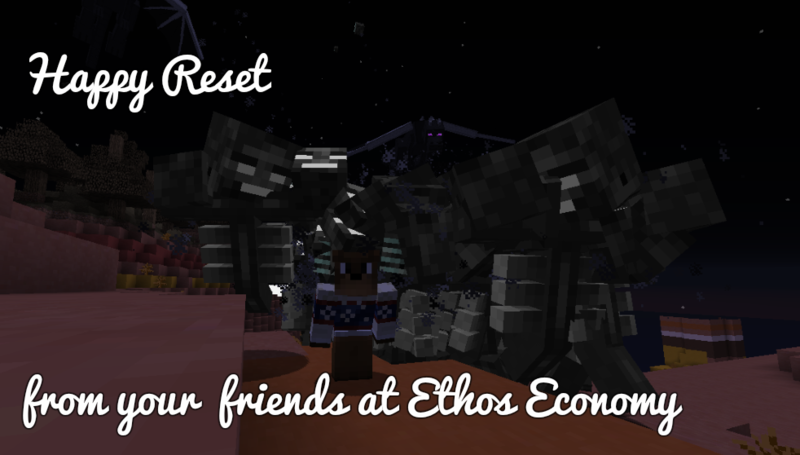 Explore Ethos Economy's scenic custom terrain worlds featuring custom biomes and terrain that you are going to love. It's me, Nixxion here to tell you how much I enjoy Ethos Economy. And yeah, some players may have mixed feelings about the server, but I have joined the server a long while back and I've enjoyed the server. Believe me, I would be honest with you and tell you that I would hate a server, but Ethos Economy is the best. I wouldn't buy VIP if I didn't enjoy it, but I am glad I have enjoyed Ethos Economy to the best of its ability. The staff are fantastic too because they help out a lot and generally get their jobs done. 1. Towns - What better way to bring a community together is Towns because players can create their own communities and be able to help each other out, which is great as I've experienced a lot of fun out of that. 2. 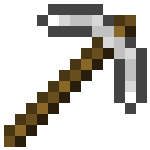 Mines - There are two types of mines in Ethos Economy, PvE Mines and PvP mines that can fit the player, I generally play PvE Mines as I am a casual, but I have enjoyed mining and I get a lot of diamonds and emeralds from the mines, they're generally good if you just want to chill out. 3. Community - Everyone on Ethos Economy is welcoming and they generally are nice. The staff are usually on and help out as best as they can, some members of the community really help out with general things, such as; Selling items, moving towns, and earning money. 4. Staff - One thing about the staff I've enjoyed is that they can help fix your equipment when they're almost broken and I like that about them, they can also be great at helping you with your problems, which is great! 5. Warps - Generally, who would be better without them? This is an essential key factor and is beneficial for the server. They generally help a lot, especially if you need to get to places like the mine or to the market. 6. Loot Crates - Well, of course, they're fun, because you never know what you'll get from a loot crate. And getting a key is exciting to get because you get to find out what you'll get in a loot crate. 7. Ranking - Every moment I play Ethos Economy is all about ranking up, but that's not all I like about the server, of course, I like a wide variety of features in Ethos Economy. Ranking on Ethos Economy is very challenging and it consumes your time and is generally rewarding, I would recommend you take as much time into getting ranked up as it can be rewarding in time. That's most of what I like about Ethos Economy, I assume that there are some other features that I like that I haven't featured yet, but if I haven't please let me know what you like about Ethos Economy, because I'd like to know and I generally am happy to hear what you like about Ethos Economy. 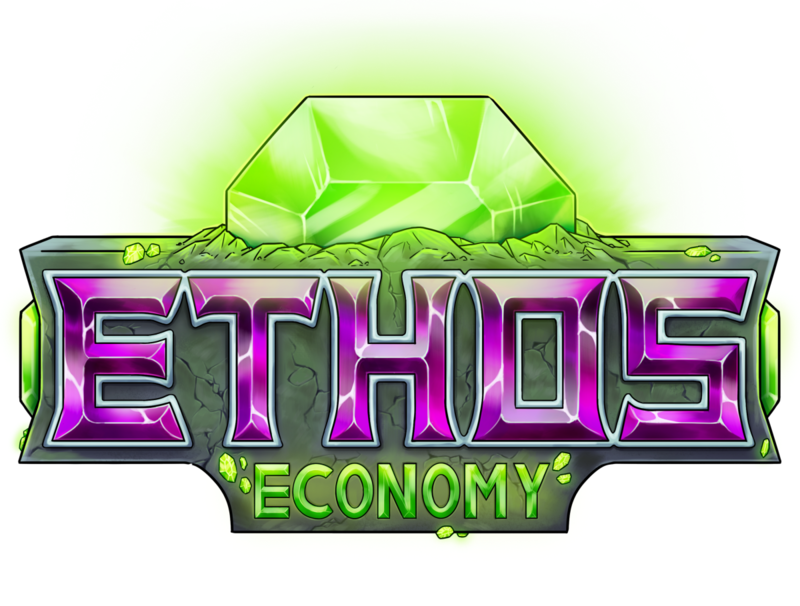 Voting for Ethos Economy helps us rank higher and attract new players! To vote for the server, visit the following links and enter your username. You will automatically be rewarded when voting for us. So it seems a ton of players get punished everyday, and the majority of them claim to have not known that what they did was against the rules. Well, I am posting this forum post to show and give details on all the rules within Discord and within the server. I have the ability to change any of these at any time with or without notifying anyone. If you do not see a rule on here that you got punished for, we will add it to the list. On Discord, if you look in the #rules channel, you can see a basic list of rules. I am gonna type out those rules, as well as an in depth explanation to them. Rule #1: Do not post any form of advertisement, unless it is strictly about Ethos only. What this means is that if you post anything to do with some other server, your own social media accounts, or anything that does not relate to Ethos Network, it will be immediately removed and you will be warned. If broken again, you will be banned from the Discord. Rule #2: No inappropriate content, or any "unapproved" links. This is what is basically says. Do not post anything that classifies as NSFW, and do not post any links that have not been approved by a staff member. Punishment for this is warn, then if broken again, an instant ban. Rule #3: Swearing is allowed at a minimum, and may not be used to offend/harm someone. When you choose to swear/curse/cuss in the Ethos Discord, we are trusting you to keep the amount of cuss words to a minimum, meaning 2 or 3 cuss words max each sentence. We also trust that you don't direct these cuss words towards other members. Swearing excessively or swearing at people will result in a warn, a mute, and eventually a ban. Rule #4: Staff have the final say. This is a very important rule, and means exactly what it says. If a staff member tells you to stop spamming, for instance, you stop spamming and don't argue or complain. Simple as that. Arguing with staff will result in a mute. Rule #5: No spamming, and keep the channels relevant to their topic, so if you have an idea, post it in Ideas and Requests. There are channels labeled to specific categories, such the Support or Ideas and Requests channels. We ask you only post relevant text within these channels, so we can keep the Discord a cleaner, and better place. We also ask that you do not spam what so ever, whether it is weird and random letters/symbols up to even full sentences. Spamming, or going off topic in specific channels can result in a mute, and eventually a ban. Rule #6: Do not mention any role, or staff member unless it is absolutely necessary. Tagging any staff member or staff role is extremely annoying. If you wish to get the attention of staff, and your message just isn't cutting it, then please private message a single staff member. Do not continue spamming in a channel, or spam each staffs pms. Mentioning certain roles/members will eventually result in loss of the ability to tag any roles. Continuation of tagging people will result in mute, and eventually ban. Rule #7: No inappropriate names or profile pictures. It is exactly what it says. Do not have a inappropriate name for your Discord name, and do not have a inappropriate picture for your profile image. If you are approached about your name/picture, you will have 2 days to change it, otherwise you will be permanently banned. Rule #8: Do not pretend to be staff members, and do not beg for ranks. Pretty simple rule. Do not act as though you are a staff member, unless you have the official prefix, and permissions of a staff member. As well as never beg for any form of ranking. Begging will only make us less likely to give you what you want, and asking more than 2 times about a staff application will result in being denied. Pretending to be staff on the Discord, or begging for the staff rank here will result in being muted, and eventually banned. Rule #9: Do not harass anyone, whether it be DM's or general discussion. Basic rule. Do not harass anyone, anywhere within the Ethos Network Discord, or in DMs. Harassing anyone will result in an instant ban. In the Support channel and the Ideas and Requests channel, stick to the formats given when posting an issue, or posting a request/idea/quest in either of the channels. Pretty easy to follow. On Minecraft, if you do the command /rules, you can see a basic list of rules. I am gonna type out those rules, as well as an in depth explanation to them. Rules #1: Do not raid or grief in towns. Wild is free game. Pretty simple to understand. 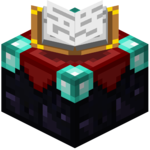 If you are in a town or you find a town which lets outsiders mine blocks/open chests, don't steal or break anything. That is considered raiding/griefing. The only thing that you will be sure of is getting yourself punished, as well as making half the server dislike you. Wild being free game, so if you find someones house, and it is not in a town, then you can do whatever you wish to it and have fun. Rules #2: No TPA killing, tp traps or scamming. Another simple one. 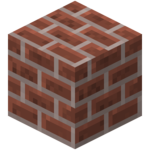 Don't teleport someone to you just to kill them, whether it be by your blade, or some redstone machine. Both of those are unallowed, and you will be punished for it. Same with scamming. Don't make a deal with someone, then when they do their half, you back out. That is a douche move, and you will be listed as a Scammer, as well as severely punished. Rules #3: No begging, asking for OP, free ranks, money, items, commands, or staff ranks. Being perfectly honest with you, all these are pretty straight forward, but still explaining them for those few that don't understand anything. This rules states no to beg for anything basically. Don't go around asking players or staff members for ranks, money, items, or any of that stuff, and if it is very basic items, don't beg for it, especially after someone already tells you no. Rules #4: Do not encourage begging. Paying for other people's rankups is not allowed. Don't go around telling people they can beg someone for money or items. Doing so can get you punished. If the player gets money or items to sell for money and is able to rankup, that is considered boosting someone and paying for their rankups. Doing this can get you and the person punished. Pretty basic and easy to not break. Rules #5: Report ALL bugs and glitches on the forums. Exploitation is bannable. If you find a bug that allows you to duplicate for example, report it on the forums. Any bugs that you use and share or don't report will come back and find you, and we will punish you for not turning it in. If you find a bug, and report it to us, and it gets fixed, then you will receive a small reward. Rules #6: Use only approved mods listed on the forums. Hacking is not allowed. Don't use unapproved mods or hacks. This includes but is not limited to kill aura, range, clicking macros, and many more. Doing so will result in punishment. Anything that allows you to stay AFK on the server past the 30 minute kick marker is not allowed if it is not you personally coming to your computer to move your user. Using any form of bot or any macro within this is not allowed either. 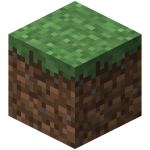 Rules #8: Auto-farm size limit: 1 Chunk Width (16x16). No height limit. Newest rule to out list. Auto-farms are a thing within most minecraft servers which provide crazy amounts of money and allow people to be lazy and afk at their farms. We promote manual work, so we made this rule to try to engage people in making either normal farms, or semi-auto farms. Breaking this rule will result in having your auto farm destroyed by a staff member. You can have 2 accounts per IP. If you have 2 or more family members wanting to play with you, you must contact staff, and have a way to verify you and your family. Rules #10: Server is PG. No excessive swearing. Some people seem to not understand this: Rated PG: Parental Guidance Suggested – some material may not be suitable for children. So don't do stuff you wouldn't do in front of the Pope's 8 year old boy/girl. Otherwise action will be taken against you. Don't go using more than 4 swear words per sentence. Frankly it can get quite annoying, and make some sentences confusing. Rules #11: Please user English only for main chat. Keep roleplay and foreign languages to PMs. We don't like having to read other languages in chat and not understand what it means, so keep it to pms with other players. Same with pms, so if you want to pretend you are something you aren't, then keep it to pms with someone else. Rules #12: No spamming or advertising. Excessive CAPsing is spamming. Super important: Don't advertise anything. Whether it be your youtube (Unless it has Ethos Network being played inside it) or it be your own server. Don't spam characters/sentences, meaning don't post the same sentence multiple times in a row, and don't use over 4 of one character in a row. Example: "Aaaaaaahh that makes sense." Don't do this. Just is annoying and fills chat more than needed. As well as overuse of capitals. Using it for abbreviations is appropriate, but not for random words. Example: "OH MY GOD LOOK AT THAT PERSONS BUILD! It is pretty cool." You could go without using all those caps. Rules #13: No trolling/flaming. Harassment and rule baiting are not allowed. Trolling and flaming. Lets make sure everyone knows what these mean. Trolling/Flaming: to post inflammatory or inappropriate messages or comments on (the Internet, especially a message board) for the purpose of upsetting other users and provoking a response. As well as: to upset or provoke (other users) by posting such messages or comments. Now that those are out of the way, don't be that way. Pretty simple. Don't try to bend or bait the rules. Harassing someone can result in a serious punishment. Rules #14: Respect other Players and Staff. Don't be rude, mean, or offensive. Treat others how you wish to be treated is how I look at this. If you want to be a complete douche bag and break the rules, go for it, but know you will have swift punishments in your future. Otherwise, be nice, and try to not offend every person on the planet. Don't go punch someones feelings thoughts just because you don't like them. We have /ignore for a reason. Rules #15: Obey staff. They are the law. Extremely important rule. Don't break it. Anything staff says, goes. If a staff member tells you to be quiet, you be quiet. Do as they say, and when they say it to avoid any punishment.